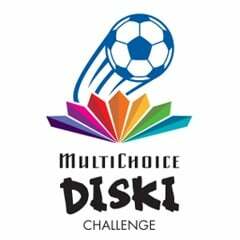 Cape Town - The MultiChoice Diski Challenge teams will battle it out in the quarterfinals clashes at the King Zwelithini Stadium in Umlazi, Durban on Saturday and Sunday. Bloemfontein Celtic, SuperSport United, Polokwane City and University of Pretoria are the four Group A teams that advanced to the knockout round of the competition. All the teams booked their places on the final day of the group stage matches. The coaches of the winning teams unpack the drama that unfolded on the last clashes as they get ready for the quarterfinals. Group leaders Celtic were likely going to progress because of their superior goal difference even if they were to lose. They faced Ajax Cape Town in the final encounter, with both sides fighting for a spot in the last eight. It took a last-minute penalty that was scored by defender Enoch Phungwayo to send Celtic through while Ajax exited. “These are young boys, these are the guys who are not getting game time in the PSL. You just tell them that they must keep on trying, goals will come. That is what we are working on with them, to be relaxed as much as possible. And of course I wasn’t disappointed, that is how football is,” Celtic coach Lehlohonolo Seema said. “What I like about these kids is teaching them each and everything that is happening in the elite league. I tell them straight that this is preparing you, this how it’s going to be in the bigger league. “I’m glad that they managed to listen when I said let’s play up until the referee blows the final whistle. We then kept on attacking, so that we could finish the group as leaders at the end of the round robin,” he concluded. SuperSport, who finished second in the group also faced a must-win match against already-eliminated Moroka Swallows on the final day. The young Matsatsantsha delivered as a brace from Ryan Chapman and Andile Fikizolo’s strike helped them win 3-0. “As much as it was a must-win game for us, I think it helped that the bulk of the players are from the academy. We’ve always tried to instil those values, that we take one game at a time - each and every game, whether it’s a friendly or a league game. It’s always important because at the academy level you don’t know who is watching. It’s vital that players exact themselves in each and every game they play, whether it’s at training or a competitive game. I think it was a bit easier because most of those boys know how to behave and how to approach matches,” commented their coach Kaitano Tembo. Third-placed Polokwane took on Maritzburg United, who were already out of contention for the knockout round. They convincingly won the clash 6-2 with top-goal-scorer Mothusi Gopane, Ayanda Lubelo and Sakhile Ngubo scoring a brace each. “We told the boys that what is important is for them to always play good football, that is vital. We didn’t put them under any pressure that it’s a must win. They didn’t know anything about a must-win situation. We told them to just go there and play good football. If you put them under pressure and talk about must win at all costs, then it’s going to go to their heads and then they make a lot of mistakes,” Polokwane coach Junior Bhengu said. “That’s why we just said they must go there and do what they’ve been doing best, playing good football. And that’s what they did, I think they played the best football of the tournament so far on the day. It was easy for them to score goals, we played against a team that had nothing to lose, a team that was already out of the competition,” he continued. Bhengu also defended his team’s style of play, which is mainly about ball possession and patient build-ups, by revealing an encounter he had with a journalist in one of their matches. “People are saying the football in the previous years was the best football, when we watched legends like Jomo Sono standing on top of the ball and say that was football. Maybe we trying to do something that is close to that, but not standing on top of the ball. Just playing well, good and entertaining football; then they say we are showboating. What is showboating? I don’t undertstand,” lamented Bhengu. Tuks also faced a must-win clash against Kaizer Chiefs at the Galeshewe Stadium in Kimberly, which they needed to win by two clear goals in order to advance. After falling behind, Tuks fought back to register a 3-1 victory, with the goals coming from Botshelo Mfulwane, Grant Kekana and Lucky Mathosi. “Honestly the pitch helped me a lot, because I know how to play in those conditions. I knew Chiefs would come and try to play on a very, very bad field. Of which I’ve played in those fields like that before. From the beginning of the week we tuned the players and we told them that the field is not going to be playable, this is how we going to approach it,” their coach Sly Mosala revealed. “Obviously the players will know, it’s always difficult for the players to adjust their game to that but at least they came to the party and then we managed to get a win that we needed badly from that game,” the coach reflected.